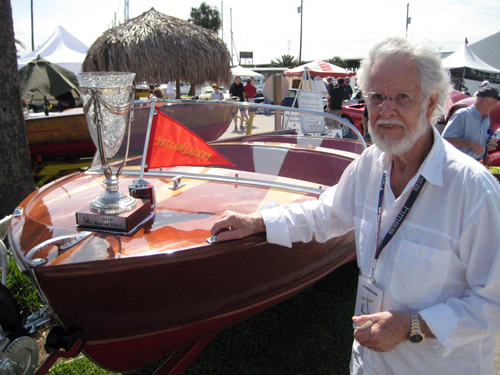 Bill Collins Bauder is a member of the Collins family who were pioneers in Denison. In fact, nearby Collinsville is named for the clan, where Bill's great-great grandmother, Lodi, founded an Texas' first free school. 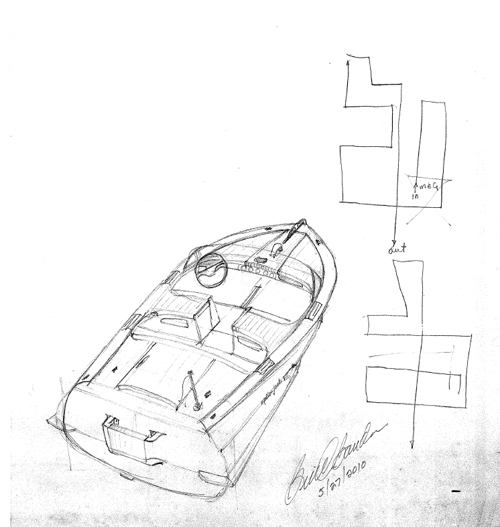 Yes, Denison was the site of the first free public graded school; Collinsville's was private. 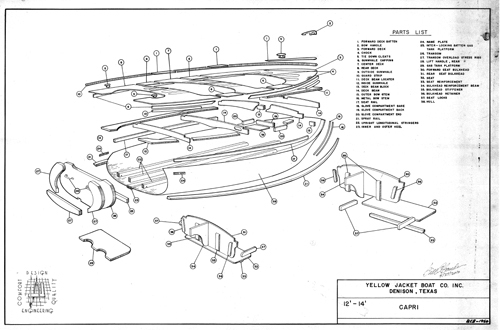 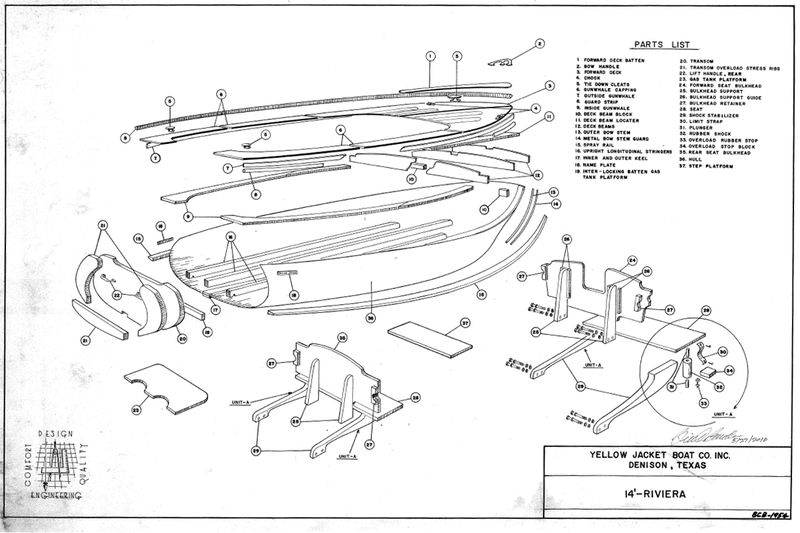 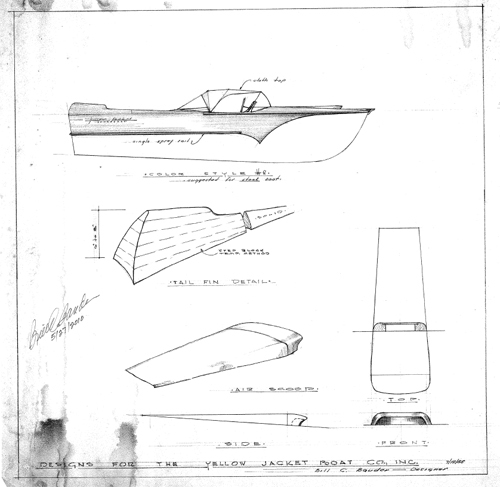 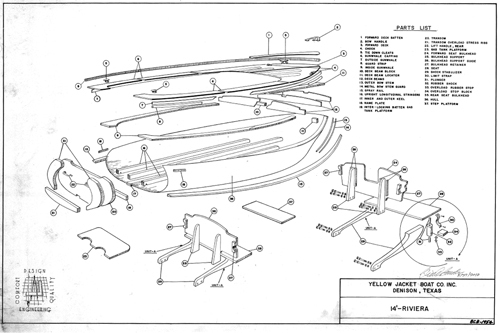 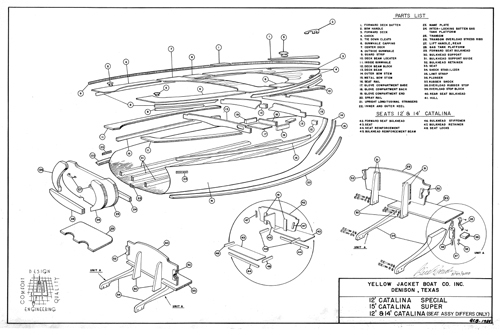 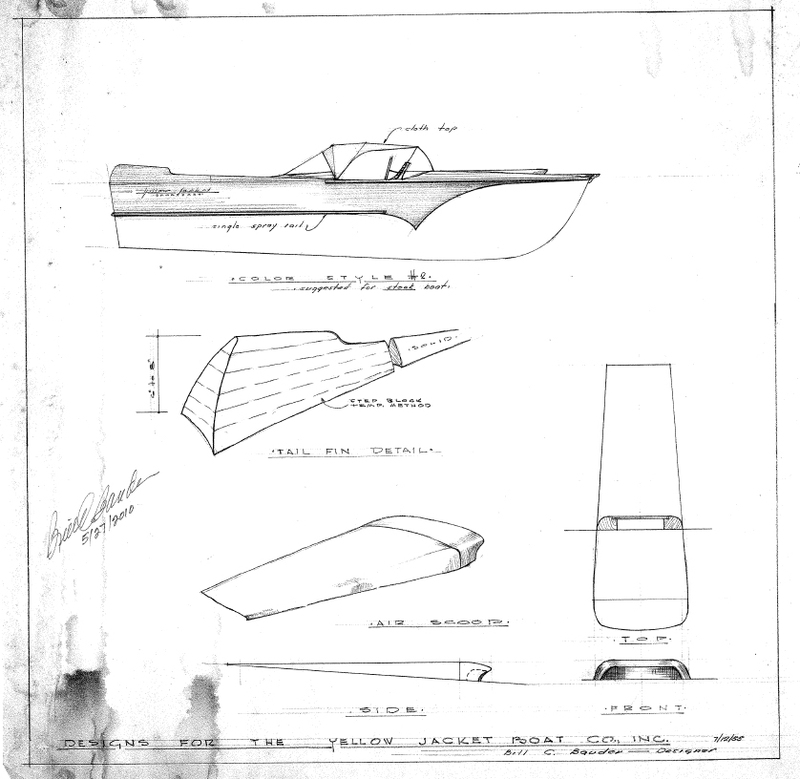 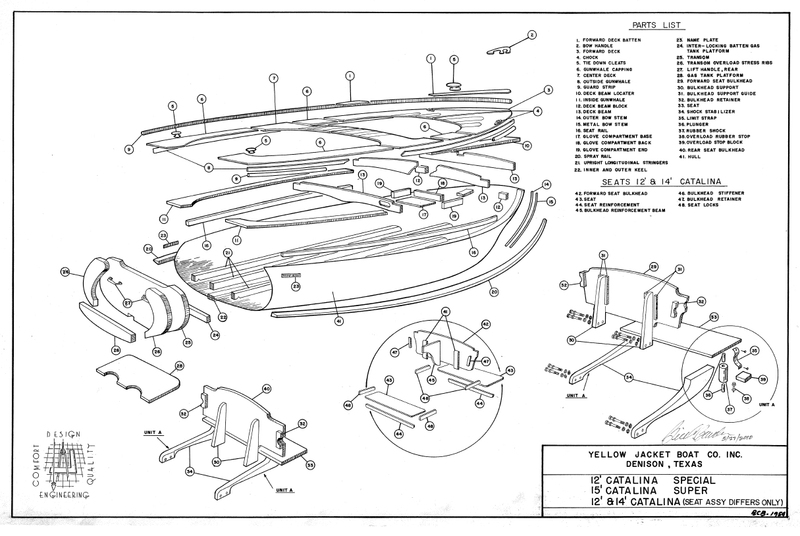 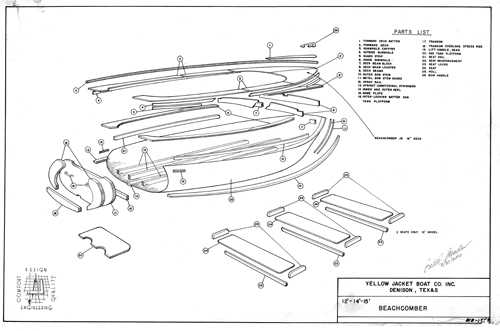 From 1952-1958, Bauder worked as a draftsman and designer for the Yellow Jacket Boat Company, designing the signature cast aluminum hardware for the boats, and creating exploded drawings of various models. 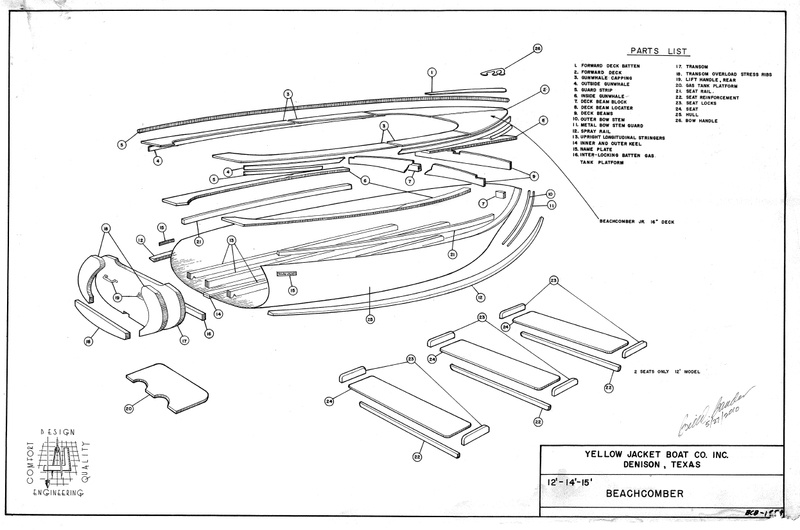 Bill even penned a few conceptual designs for the company. 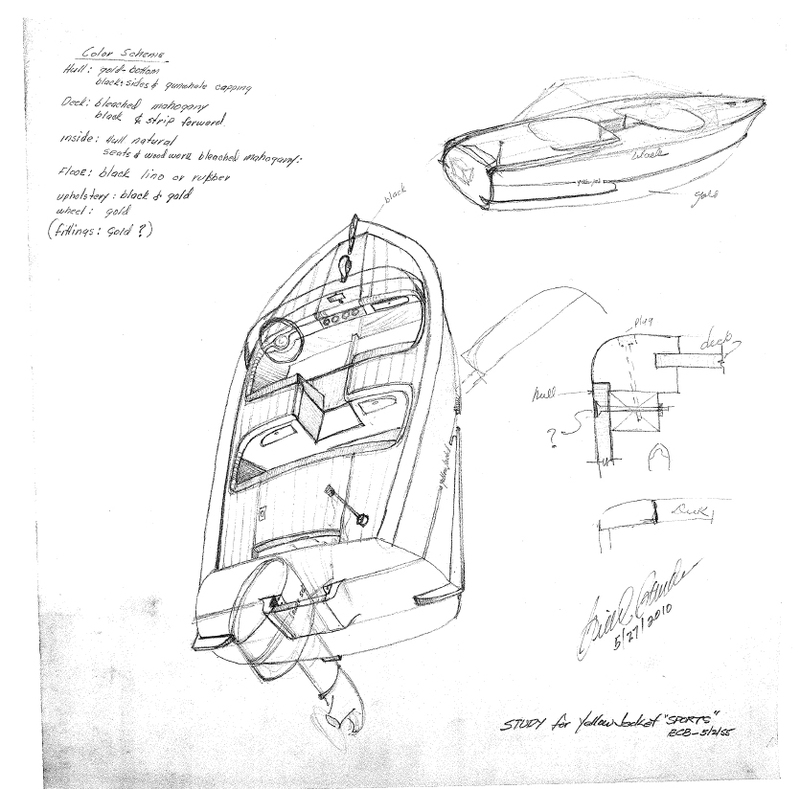 Recently, Bill donated signed copies of a number of these drawings to the Wooden Boat Association, which we share here with you. 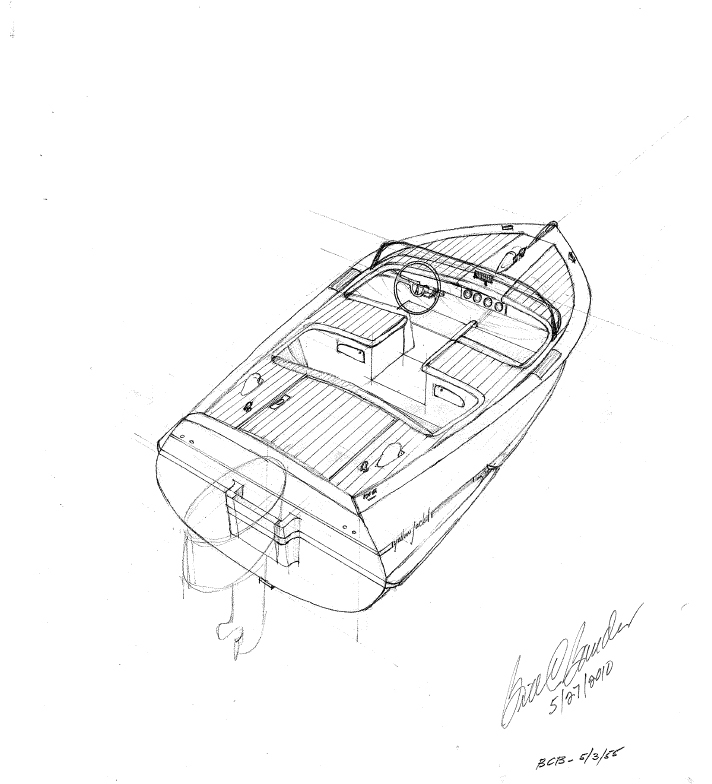 Many thanks to Bill for his important contribution to the body of knowledge concerning Yellow Jacket Boats.